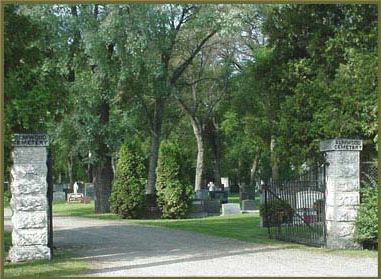 Entrance to Elmwood Cemetery, off Hespeler Avenue. 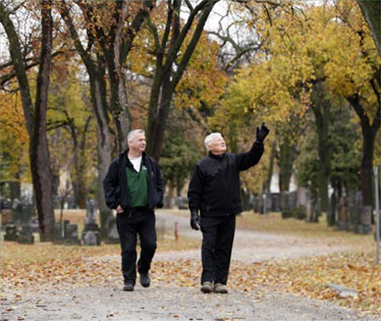 In 2003, the Foundation created its first designated fund in response to a group that has been working to restore Winnipeg’s Elmwood Cemetery. This non-denominational cemetery is located on the east bank of the Red River. It was founded in 1902, and is the final resting place of over 50,000 people, some of them quite famous. 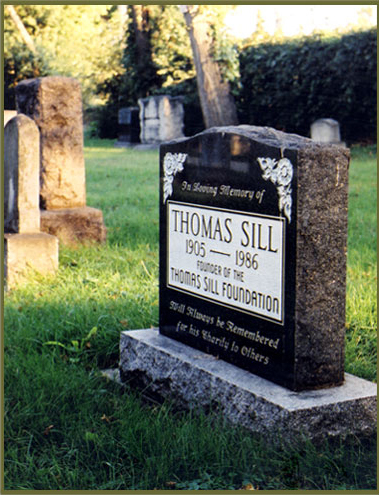 Thomas Sill, the benefactor of the Foundation, is also buried at Elmwood, around the corner from where he grew up. By the late 1990s, Elmwood Cemetery had fallen into disrepair. It was privately owned, and had few resources to maintain the area’s natural beauty, or to preserve the dignity that one would expect at a cemetery. A group of volunteers, including Mr. Robert Filuk, the Foundation’s past president, created the Friends of Elmwood Cemetery, Inc. This group has raised over $4 million and has made great improvements at Elmwood Cemetery. 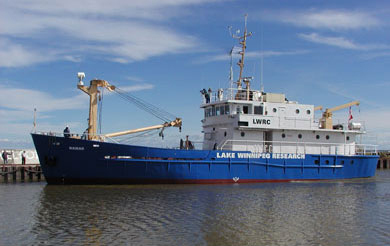 During the fall of 2005 a number of grade five and six students from a local school constructed and mounted eight wood duck houses on trees along the riverbank. Three families of wood ducks took up residency and produced a number of ducklings. One of the houses became home to a family of eastern screech owls. 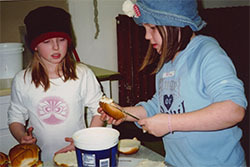 During August, 2006 the Winnipeg Boys and Girls Clubs helped develop two gardens shaped like butterflies. The children planted milkweed and other native prairie plants to attract the Monarch butterfly. This endangered species will lay its eggs on the milkweed plant, and as the young butterflies emerge from their cocoons they will find sustenance on the surrounding native plants. With the help of the Thomas Sill Foundation, and others, Elmwood Cemetery has been restored to its original splendour and elegance. The grounds are being cared for, flowers are being planted, and an increasing number of people are visiting. The Friends are receiving compliments on the cemetery’s beauty. The first designated fund established by the Foundation was endowed with $100,000 to help fund ongoing maintenance and improvements at Elmwood Cemetery.